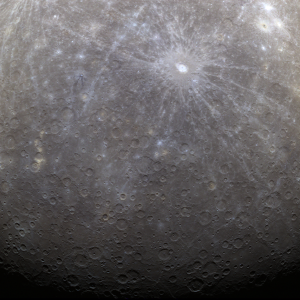 MESSENGER, the first human probe to orbit the innermost planet, has sent back its first photo from orbit. More photos are coming in from MESSENGER and you can check them out here. Weekly Comics Discussion – March 30, 2011 Justice League of Hollywood? Actually that’s a bit of a downer – it looks just like the moon! Looks like there may be one crashed about 1/3 of the way down diagonally from the top left. A nice splat.